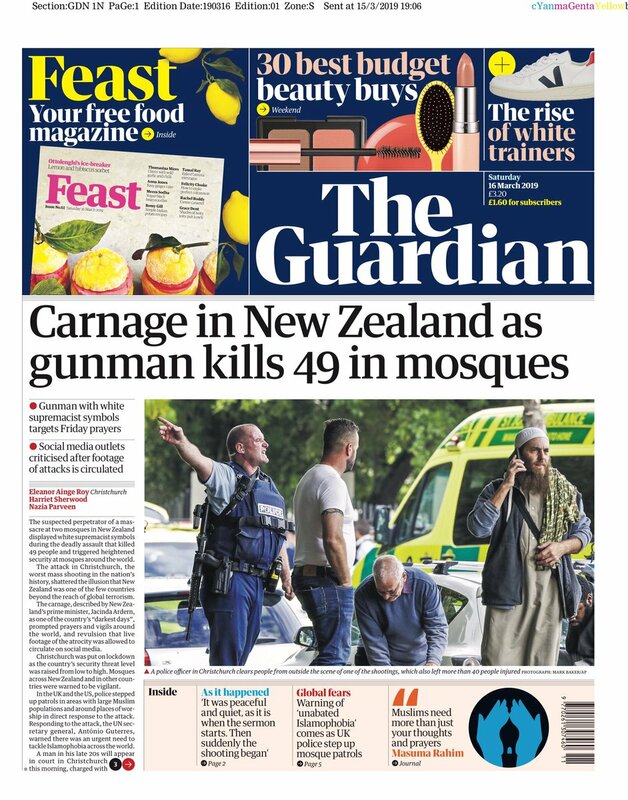 The massacre of at least 49 people in a terror attack in New Zealand has dominated newspaper front pages across the globe. Here is how they covered it. The country’s media has marked the gun massacre at two mosques in Christchurch as “one of darkest days” in the country’s history. 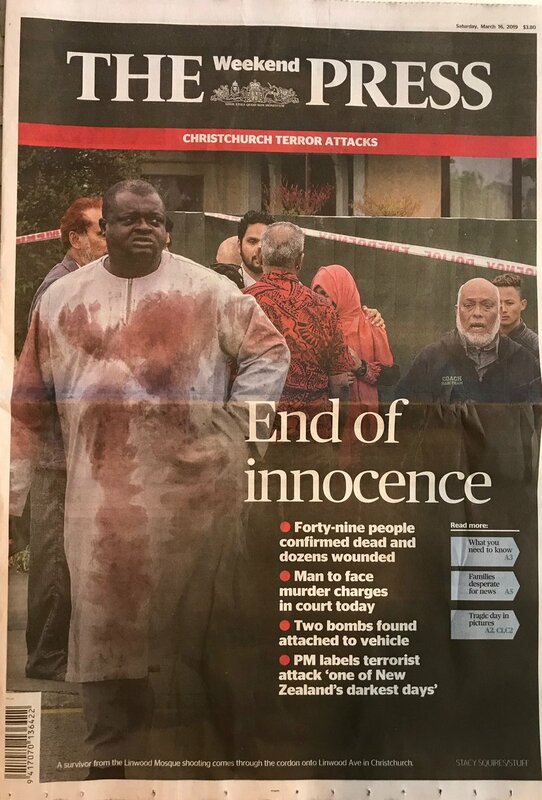 The Press, Christchurch’s most prominent newspaper – and one of the largest circulation papers in New Zealand – has a striking front page, showing survivors and declaring the attack to have brought about the “end of innocence”. It is a common theme among domestic papers. 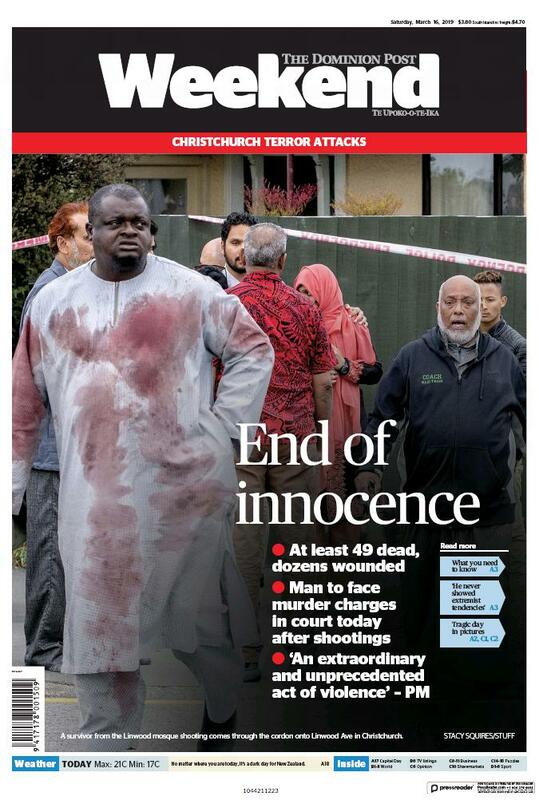 Bryce Edwards, a political commentator, tweeted the New Zealand Herald’s front page. 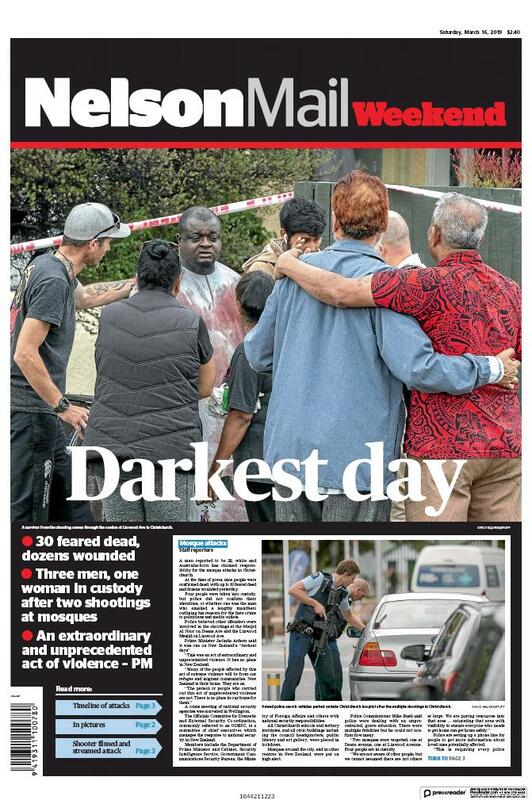 The Weekend edition of the Dominion Post – the second-largest newspaper in New Zealand, based in Wellington – took a similar tack to the Press and the Herald. 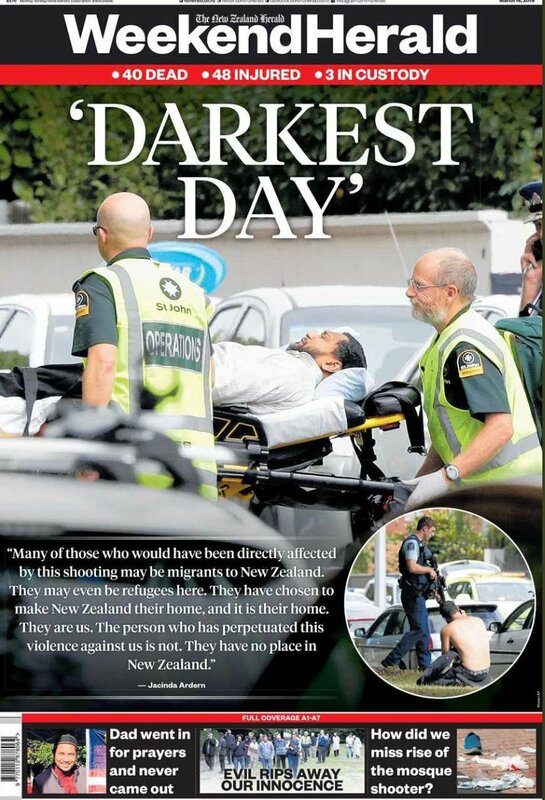 The Nelson Mail, a smaller publication in the South Island city of Nelson, has used a similar photograph to the Dominion Post – also within the Fairfax stable of publications. The Otago Daily Times, whose patch includes Dunedin – where suspected attacker Brenton Tarrant was believed to have been living – suggests that city could have been the original target. The Guardian focused on the white supremacist views expressed by the man charged with murder and notes that social media firms have been criticised for their role. 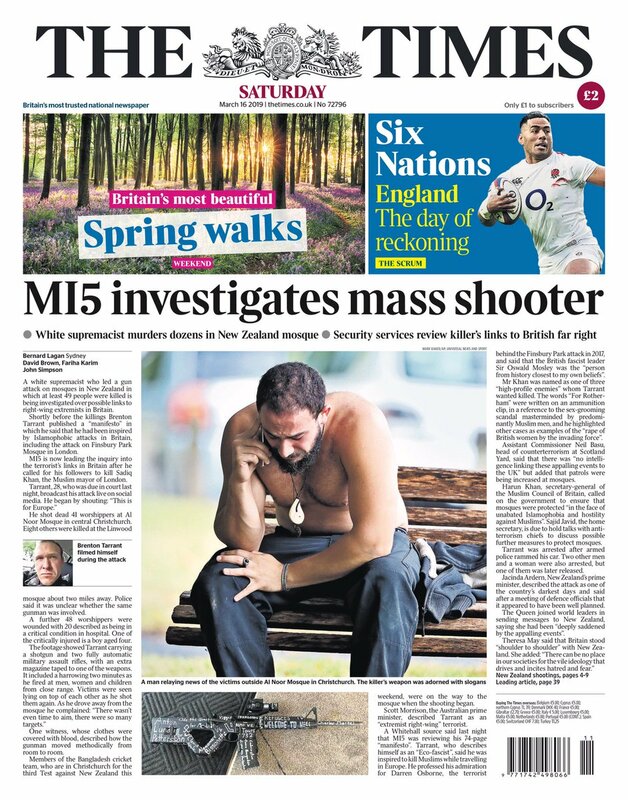 The Times reports the MI5 is investigating possible links between the alleged shooter and far-right extremists in the UK. 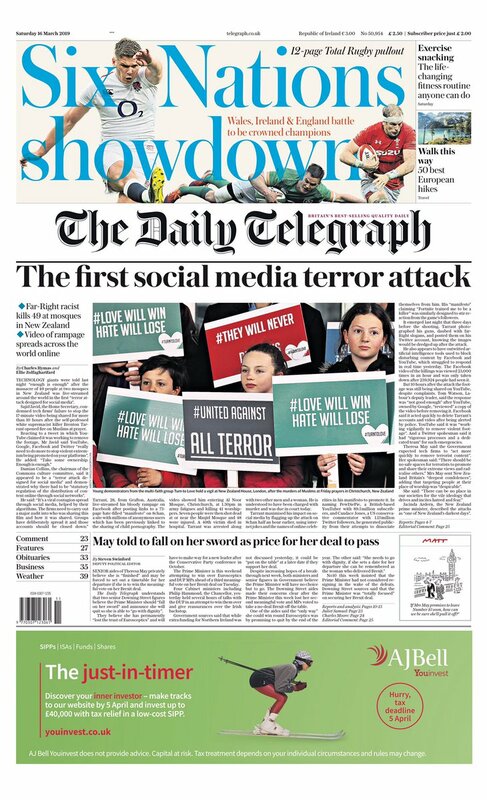 And many of the other British papers focus primarily on social media firms, after it emerged that the suspect livestreamed the attack online. 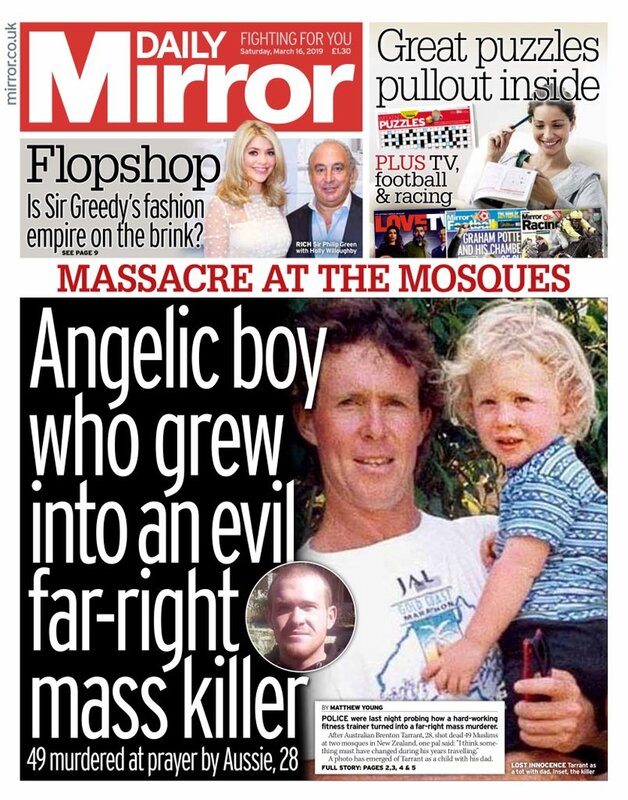 While the Daily Mirror labels him an “angelic boy who grew into an evil far-right mass killer”. Some of the Australian tabloids focused on the man charged with murder over the killings, an Australian citizen, and included images taken from the livestream of the massacre, despite requests from both New Zealand and Australian police that the footage not be shared. The page was shared in a now-deleted tweet by the paper’s senior editor Anthony De Ceglie and was widely criticised. 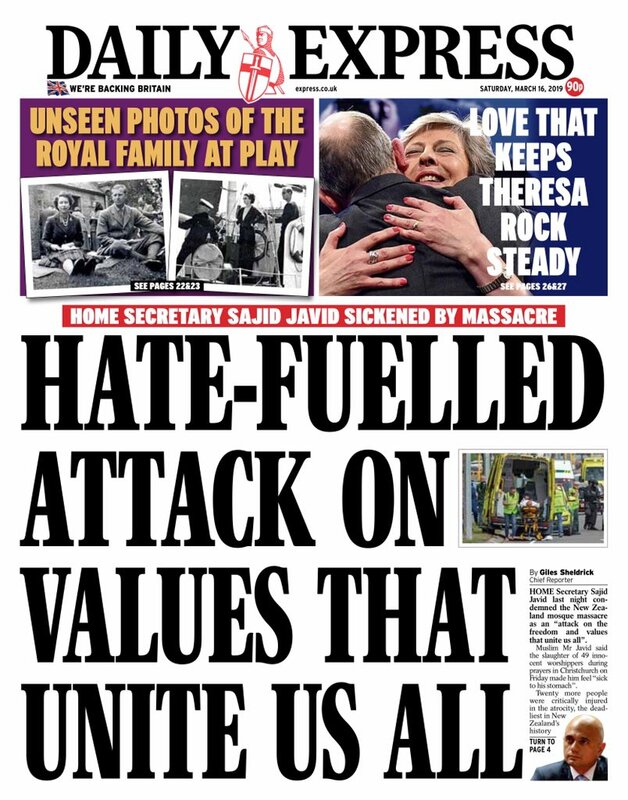 News Corp tabloids took a similar line. The Courier Mail used images from the livestream and called Tarrant a “working class madman”. The Herald Sun front page read “Livestream slaughter” with the tagline “crazed Australian’s evil manifesto revealed”.